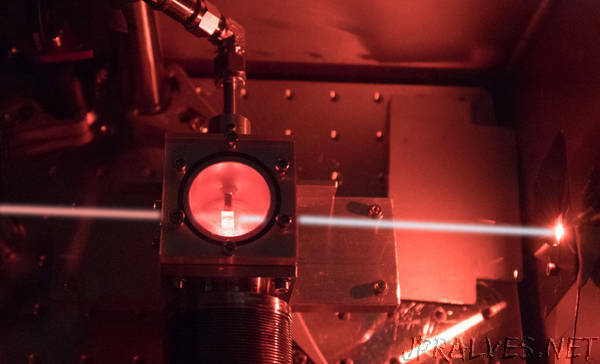 “Researchers at the Center for Free-Electron Laser Science (CFEL) have generated a 1.9-femtosecond ultraviolet laser light pulse – setting arecord for ultraviolet (UV) laser pulses with the shortest duration. The experiments, published in the recent issue of the scientific journal Optics Letters, outshine the previous record of 2.8 femtoseconds, set in 2010. The 1.9-femtosecond pulse (1 femtosecond is a millionth of a billionth of a second) has been generated in the laboratory of Prof. Francesca Calegari (Universität Hamburg, DESY) head of the attosecond science group at CFEL and member of the cluster of excellence CUI: Advanced Imaging of Matter. It covers the very relevant spectral region between 210 and 340 nanometres (nm), corresponding to the so-called UVB and UVC energy ranges. UVB radiation contained in the solar emission partially penetrates our atmosphere, thus triggering a number of bio-chemically relevant processes including damage of the DNA, leading to skin cancer. These processes are often based on ultrafast mechanisms that require extremely short light pulses to be captured in real time.